Dealer Specialties®, has been a respected name in inventory merchandising and management for more than 25 years. Our award-winning inventory manager has been rebuilt from the ground up to bring you more competitive data than anywhere else, powerful merchandising tools, and the most wide-spread syndication available. Utilize full VIN and price data on a high volume of vehicles to make the most accurate price comparisons. Get more vehicle information than ever with the most robust competitive vehicle data in the market. Maximize sales volume with enhanced vehicle merchandising tools like unique automated comments and real-time manufacturer rebates and incentives. 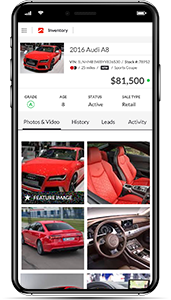 Display your inventory everywhere car shoppers are researching with real-time inventory vehicle data distribution to over 1,600 Internet partners, including all of the major portals, classified advertising sites, websites and more. Product integrations to optimize your business success and create smooth, succinct customer experiences. Reduce appraisal process time and improve your customers’ experience with full appraisal lifecycle integration between Dominion Vision CRM and VinMotion. The all-new consumer condition report platform, C.A.R.Score, is now built within VinMotion for real-time report delivery and management of individual C.A.R.Score orders. Quickly appraise vehicles based on book values, similar market vehicles, and history reports from both CARFAX and AutoCheck. 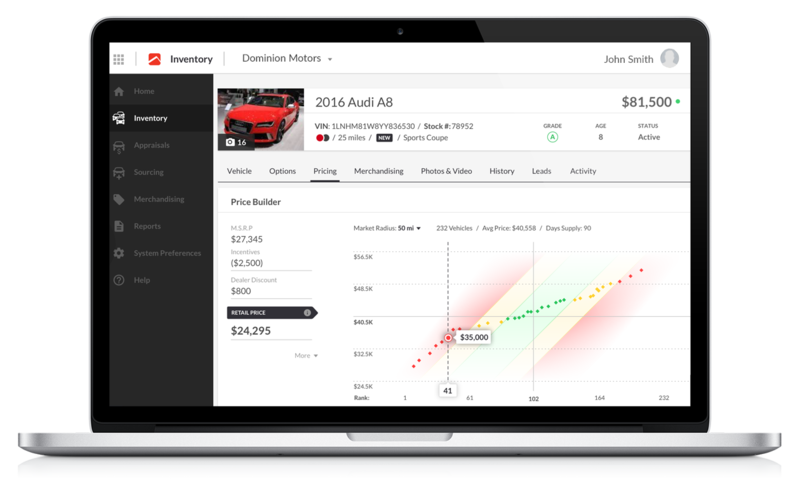 Inventory functionality allows you to effortlessly add and update vehicles as needed, including pricing options and market overviews. With advancements in the new IVM Mobile App, dealers can continue using this version for Reconditioning and Auctions. In order to get noticed, vehicles must be available where consumers are shopping, be priced to sell, and merchandised with engaging stories. The automotive inventory software solutions below can be paired with VinMotion to ensure your inventory will grab a car shopper’s attention. Effortlessly manage your Craigslist listings. Define your budget and markets - we’ll handle the rest. See the information sheet. Instantly transform vehicle specific data into engaging stories with our automated vehicle commenting engine. See the information sheet. OEM rebates and incentives are instantly applied to prices, photos, comments and overlays. See the information sheet. Take live video of any vehicle in your inventory from a smartphone, camera and upload it instantly to our video production platform. Read the blog. List your used vehicles on Facebook Marketplace with Dealer Specialties and gain access to over 1.7 billion users. Read the blog. 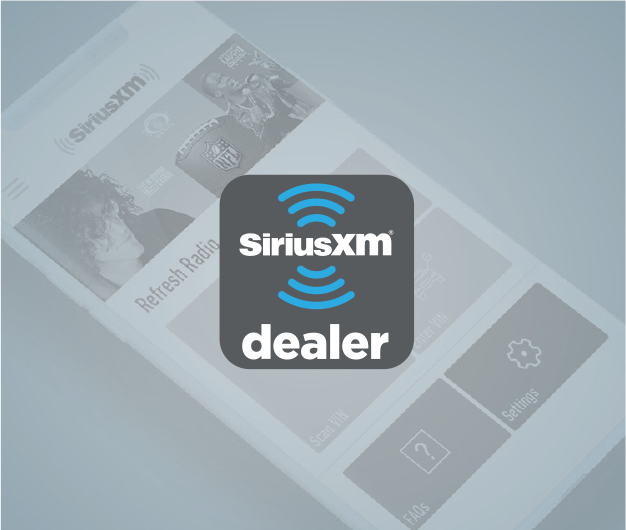 Dealer Specialties customers are automatically eligible for this free service that refreshes pre-owned vehicle radios with 3 months of SiriusXM at no cost! Our Dealer Specialties reps will refresh SiriusXM-equipped vehicles on your lot and ensure a seamless transition to the customer’s trial. The reps will also leave a “SiriusXM Activated” sticker on the driver side window and place a brochure with the channel line-up inside the vehicle. Give your buyers an extra perk of this 3-month trial when they buy from you! Read this blog to learn how to easily showcase your dealership inventory with Dealer Specialties’ newly enhanced Craigslist ad solution. With this 4-chapter ebook, learn our best techniques for understanding trends, making data-based decisions, automated pricing and Programmatic Marketing. See how Olathe Kia runs their inventory processes with help from various Dealer Specialties automotive inventory software solutions. See how Olathe Kia runs their inventory processes with help from various Dealer Specialties solutions.